Chewy you are the man!! but not tikka'd chicken and no puri, simples! Sorry, it's Unclefrank who is doing the new kitchen. The cerebral grey matter isn't what it used to be!! 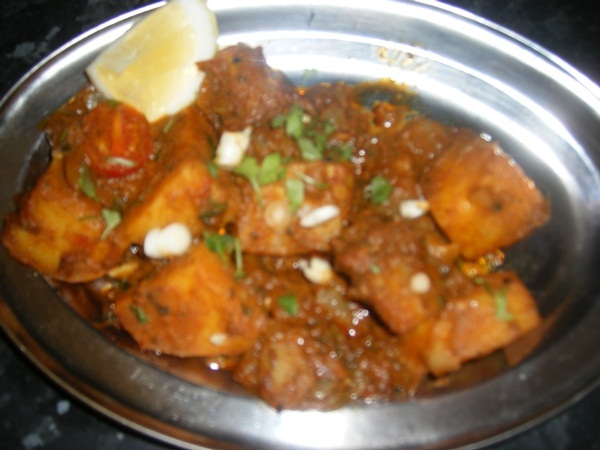 Be careful though as the chaat massala can be quite salty in itself so add more salt to the dish sparingly. just using a bit more garabi and working it. Didn't have the time to do the usual motion graphics, but you'll get the idea. "Lovely Jubbly" says it all really Mike, nice one!